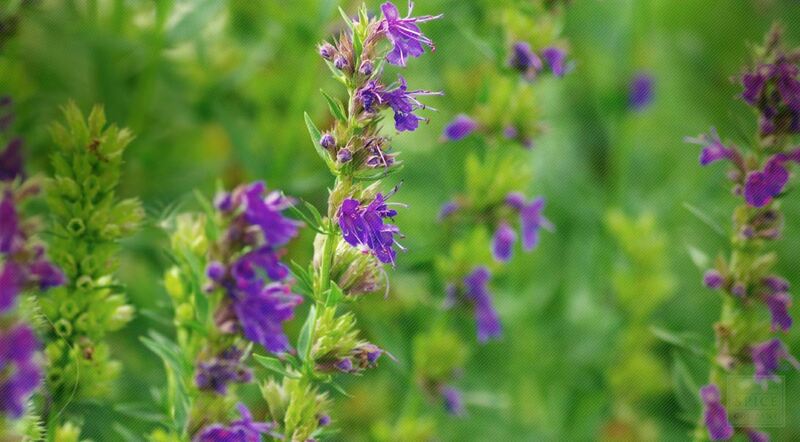 Hyssop, also called holy herb, is a small shrub in the mint family that produces flower stalks with lavender-colored blossoms. It is a hardy, drought-resistant plant that easily tolerates the heat and dry terrain that is characteristic of the Middle East, where hyssop originates. The herb is cultivated as a garden ornamental and is particularly favored by beekeepers because it results in an aromatic honey. Hyssop leaf lends a mildly sweet, mint-like flavor to teas, cordials, wines and other beverages. To shop all of our Hyssop or for more information about organic Hyssop, please visit our full Hyssop page.